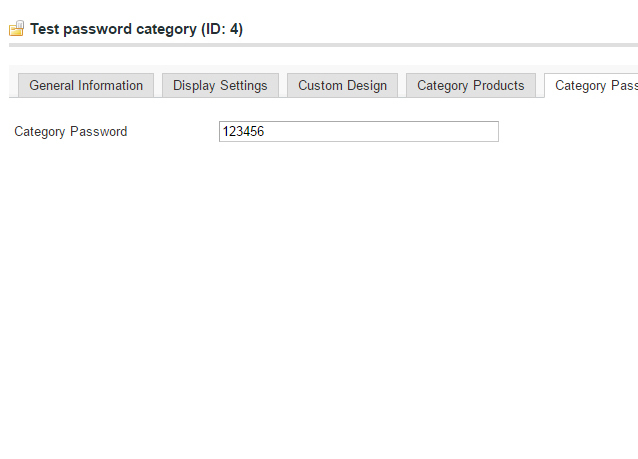 The SunflowerBiz Category Password Limit Module allows you to set a password for each category or subcategory. After enabling our module and setting a password for each category or subcategory for which you’d like to restrict access in the category management page, the specific category or subcategory must be viewed with the password entered in front. When customers are trying to view a password-protected category or subcategory on the frontend, the category page will display a note like “Please enter password to view this category”. 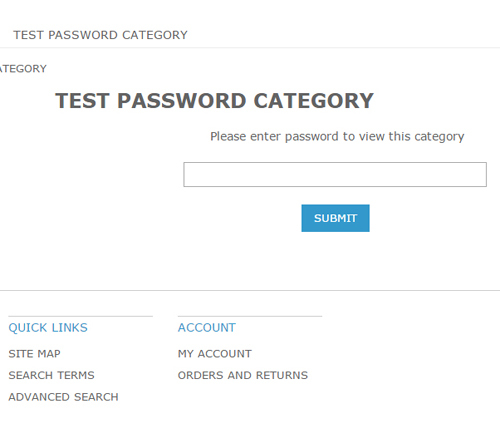 After customers enter the correct password, they are able to continue to view this category as normal. In this way, the category or subcategory is protected to be viewed with a password only. To allow customers from different customer groups to view different password-protected categories or subcategories, our module also allows you to set different passwords for different categories or subcategories. With the help of this extension, you are able to send passwords to multiple customer groups. One note, if one product is included in multi categories or sub-categories, you have to set a password for all involved categories or subcategories. Otherwise this product will not be protected by password. With the category password predefined in the backend, all products under the password-protected category or subcategory can’t be viewed or searched for in the search bar without a password entered. If you are using Magento2.x, view our Magento2 version. -You can set different password for each category. -After you set a password to a category , it wil require password to view. -Product under protected category can't be viewed without entering password. 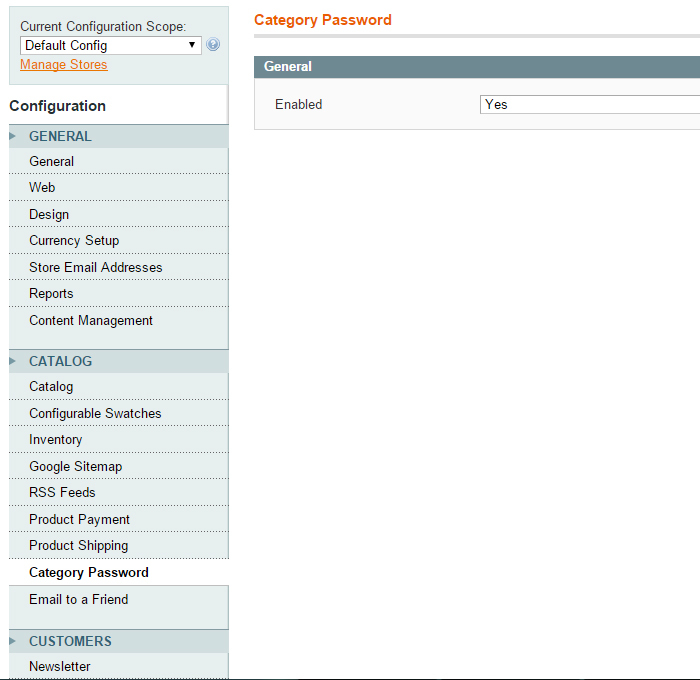 -If one product is under multi categories, it will be protected only if you set password to all related categories.  -Upload folder /app/ to your site.